Multiple Postdoctoral Positions in Computational Neuroscience Available at Boston University, and beyond. Three, NIH-supported postdoctoral positions in computational neuroscience are available immediately at Boston University in the labs of Uri Eden and Mark Kramer. For details, see here. What features characterize the multi-scale dynamics of the seizing human brain? Example publication: L-E Martinet, G. Fiddyment, J. R. Madsen, E. N. Eskandar, W. Truccolo, U. T. Eden, S. S. Cash, and M. A. Kramer, Human seizures couple across spatial scales through travelling wave dynamics, Nature Communications, 8:14896; 2017. Example publication: M. A. Kramer, Wilson Truccolo, Uri T. Eden, Kyle Q. Lepage, Leigh R. Hochberg, Emad N. Eskandar, Joseph R. Madsen, Jong W. Lee, Atul Maheshwari, Eric Halgren, Catherine J. Chu, Sydney S. Cash, Human seizures self-terminate across spatial scales via a critical transition, Proc Nat Acad Sci USA, 109 (51) 21116-21121, 2012. 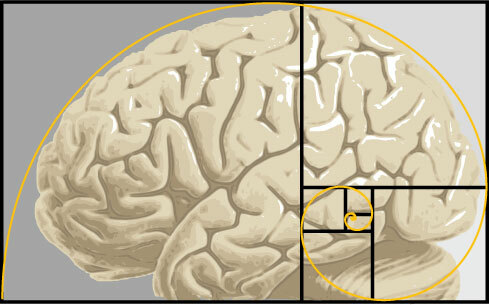 How do we best utilize mathematical and statistical approaches to understand the brain? Example publication: R. E. Kass, et al, Computational Neuroscience: Mathematical and Statistical Perspectives, Annual Review of Statistics and Its Application, Vol. 5, 2018. Example publication: J Østergaard, M. A. Kramer, U. T. Eden. Capturing Spike Variability in Noisy Izhikevich Neurons Using Point Process Generalized Linear Models, Neural Computation 30(2):1-24, 2017. What features govern functional network evolution in the brain? Example publication: Chu CJ, Tanaka N, Diaz J, Edlow BL, Wu O, Hamalainen M, Stufflebeam S, Cash SS, Kramer MA, EEG functional connectivity is partially predicted by underlying white matter connectivity, Neuroimage, 108, 23-33, 2015. Example publication: E. Stephen, K. Lepage, U. Eden, J. Brumberg, F. Guenther, M. Kramer, Assessing dynamics, spatial scale, and uncertainty in task-related brain network analyses, Front. Comput. Neurosci. 8:31, 2014. How do we rigorously link “expert knowledge” captured in a computational model with observed brain data? Example publication: L. Meng, M. Kramer, S. Middleton, M. Whittington, U. Eden, A unified approach to linking experimental, statistical and computational analysis of spike train data, PLoS ONE 9(1): e85269, 2014. Example publication: L. Meng, M. A. Kramer, U. T. Eden, A sequential Monte Carlo approach to estimate biophysical neural models from spikes, J Neural Eng, 8:065006, 2011. How do we chararacterize observed brain activity? Example publication: M. Kramer, U. Eden, Assessment of cross-frequency coupling with confidence using generalized linear models, J Neurosci Methods, 220(1):64-74, 2013. Example publication: K. Q. Lepage, M. A. Kramer, U. T. Eden, Some sampling properties of common phase estimators, Neural Computation, 25, 1-21, 2012. What mechanisms pace brain rhythms? Example publication: N. Kopell, M. A. Whittington, M. A. Kramer, Neuronal assembly dynamics in the beta1 frequency range permits short-term memory, Proc Nat Acad Sci USA, 108(9):3779-84, 2011. Example publication: M. A. Kramer, Anita K. Roopun, Lucy M. Carracedo, Roger D. Traub, Miles A. Whittington, and Nancy J. Kopell, Rhythm Generation through Period Concatenation in Rat Somatosensory Cortex, PLOS Comp Bio, 4(9): e1000169, 2008. What dynamical mechanisms underlie neuronal activity? Example publication: T. Vo, M. A. Kramer, T. J. Kaper, Amplitude-Modulated Bursting: A Novel Class of Bursting Rhythms, Physical Review Letters, 117, 268101 (2016). Example publication: J. Burke, M. Desroches, A. M. Barry, T. J. Kaper, M. A. Kramer, A showcase of torus canards in neuronal bursters, J Math Neuro, 2:3, 2012. How do we develop the skills necessary to make sense of neural data? Example publication: M. A. Kramer and U. T. Eden, Case Studies in Neural Data Analysis: A Guide for the Practicing Neuroscientist, MIT Press, 2016. Example publication: iNeuro Project Workshop Report, Preparing a workforce to meet the challenges of large-scale neuroscience data, Producing curricula and resources for large-scale neuroscience data analysis, Nov 2014.